The barrage of blokey ads. The sponsorship signage. The steady drip of endorsements by smiling sports stars. Online betting giants are pumping millions into the battle for the minds and wallets of Australian punters, with a singular aim: making you reach for your phone. Now a 7.30 investigation can reveal details about the powerful machinery behind one of the country's leading sports betting operators — a company that has spent nearly half a billion dollars over five years on endeavours aimed at tightening its grip on this rapidly growing market. Paul Farrell, Inga Ting and Amy Donaldson investigate the tangled web of influence associated with SportsBet. 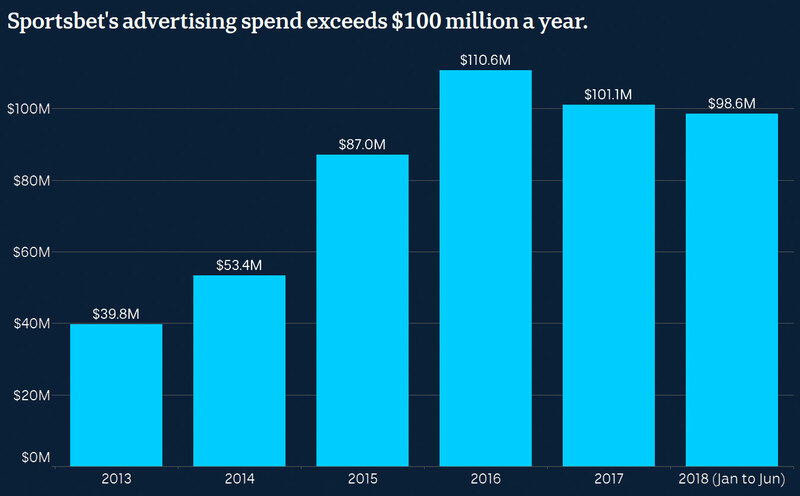 From various sporting clubs to the tech giants, the 7:30 Report uncovers the ways in which the betting company has managed to spend nearly half a billion on advertising in a five year period. 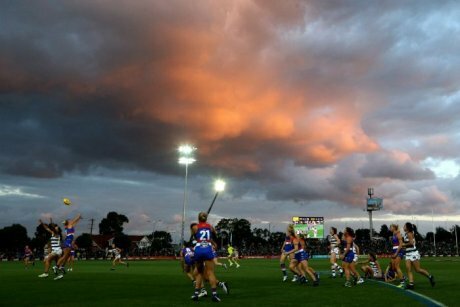 This reminds me of a post from Tom Cummings from a few years ago looking at the roll gambling had in relation to Hawthorne’s grand final success. Willesee: "If I buy a birthday cake from a cake shop and GST is in place, do I pay more or less for that birthday cake?" Hewson: "…If it is a cake shop, a cake from a cake shop that has sales tax, and it's decorated and has candles as you say, that attracts sales tax, then of course we scrap the sales tax, before the GST is..."
Willesee: "OK — it's just an example. If the answer to a birthday cake is so complex — you do have a problem with the overall GST?" Why the ABC and public broadcasting is vital to the community. 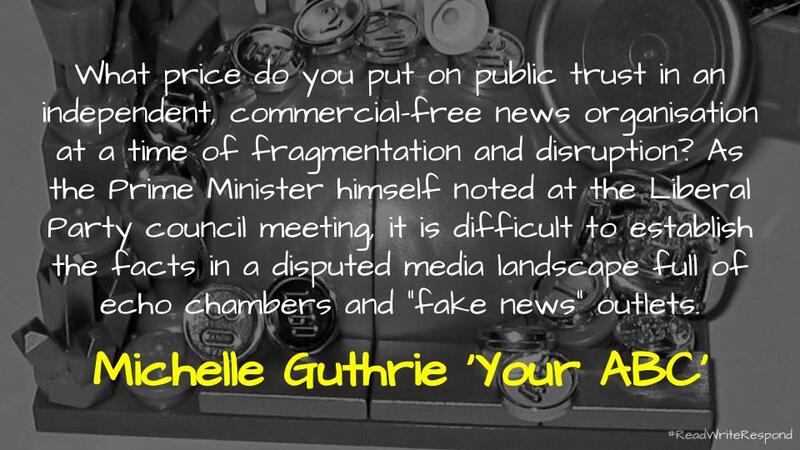 Transcript of ABC managing director Michelle Guthrie’s speech at the Melbourne Press Club, Tuesday 19 June, 2018. In response to the recent call to sell the ABC, Michelle Guthrie presents a speech explaining the value of the Australian Broadcasting Commission in today’s world. I must be honest, I don’t listen to the ABC as much as I used to, however I follow a number of podcasts, such as RN Future Tense, and often turn to their website as a first port of call for news. In a time when there is a lot of discussion about the ownership of core infrastructure, it seems strange to sell the ABC. I wonder if this is a reflection of the changes to the media landscape that my nostalgia is overlooking? Politicians on both sides are always having a go at the ABC. I cannot tell you how many people come up to me in the street, at the shops, in airports - all over Australia - & tell me they love and value it. The Liberal Party’s peak council voted overwhelmingly in favour of privatising the public broadcaster with backing of a conservative think-tank. In a time when there is a lot of discussion about the ownership of core infrastructure, it seems strange to sell the ABC. I wonder if this is a reflection of the changes to the media landscape that my nostalgia is overlooking?